For Frisco pool owners, we offer a Partial Service Plan and a Full Service Plan. Frisco Residents: Because our pool service programs include chemicals, minerals, equipment checks and pool cleaning; the water treatment is guaranteed. Blue Science monthly rates in Frisco vary and depend on the size of the pool, whether the pools has a spa, whether there are trees and shrubs nearby, and other additional features that a pool might have. Blue Science is a residential and commercial pool cleaning and service company with many weekly routes in Frisco. Our Frisco service technicians provide swimming pool cleaning and maintenance for home pools, apartment swimming pools, community swimming pools and commercial pools. 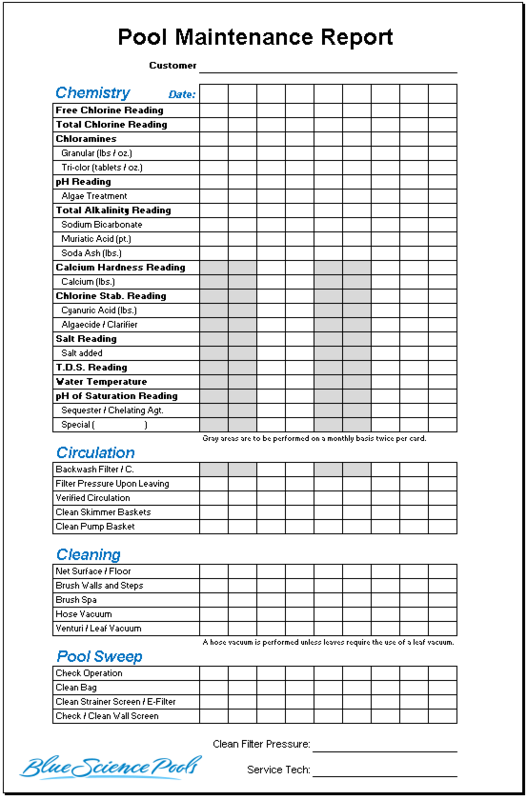 Your assigned Frisco service technician will leave a pool maintenance report each time service is performed on your pool. 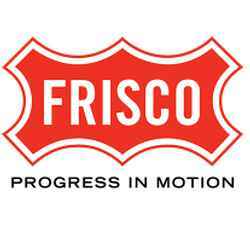 Frisco is located in Collin and Denton counties, Texas. While not one of the biggest cities in Texas, it is one of the fastest growing, with a population tripling in just 8 years. The total area of Frisco is about 70 square miles. The city is home to thousands of professionals who work in the DFW Metroplex. Unlike Plano and Dallas, which house many corporate giants, Frisco has terrific retail centers such as Stonebriar mall and IKEA. The city of Frisco's parks and recreation department manages 40 parks that total over 1300 acres. This includes two "splash parks" which don't have swimming pools but instead a spray ground water system for keeping cool in the summer. When providing pool repairs and equipment installations in Frisco, we use only supplies and parts from top pool companies.